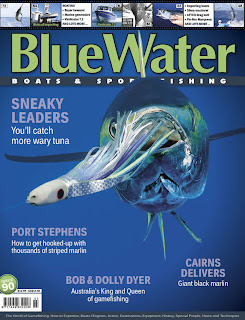 GT Popping: BlueWater magazine out now! where even the bad days are sensational! 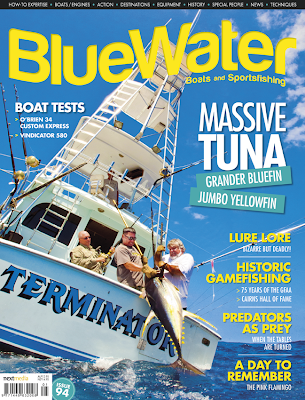 Editor Tim Simpson led a troupe of Aussie and Yankee anglers to Prince Edward Island where they hooked enormous bluefin tuna in magnificent surrounds. But the trip was not without some unexpected challenges! 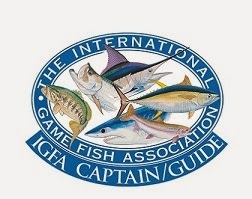 For 75 years the Game Fishing Association of Australia has provided the organisation and framework to grow our thriving sport and evolve it to become a world leader in sustainable gamefishing. Along the way, Aussies have landed many remarkable captures, as historian John McIntyre recounts. 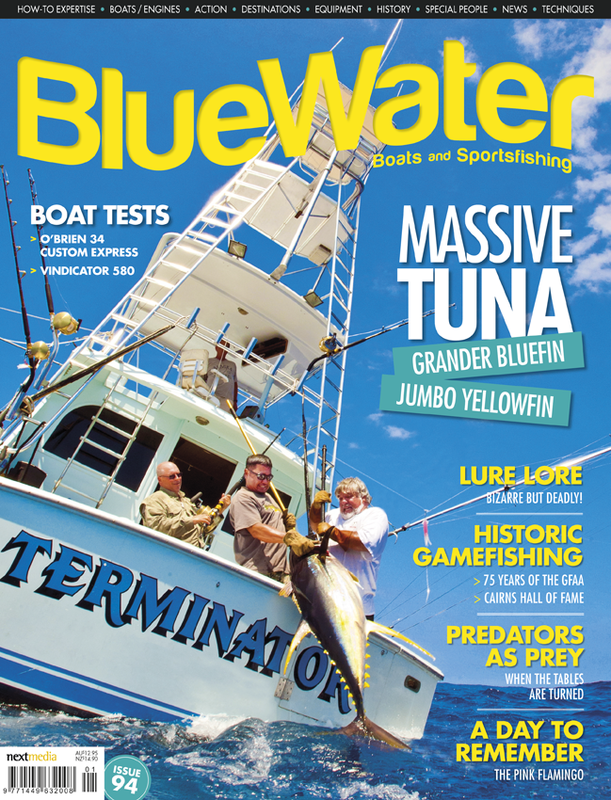 Imagine trying to land one of the biggest yellowfin tuna in the world from a stationary boat, amid a bunch of fellow anglers also hooked-up and jostling to follow their tuna around the railing. It’s all part of this long-range adventure. These fish aren’t suckers, they know what they’re doing! Why swim when you can hitch a ride? A remarkable true story with Capt Ron Hamlin and his weirdest catch. Three individuals that made exceptional contributions to the development of the Cairns fishery. It’s a dangerous ocean out there! Even the mightiest predators must run a deadly gauntlet from birth. Thinking outside of the box can produce some exceptional lures. With the mobility of a trailerboat you can follow the seasons and keep catching fish all year. A great guide to New Zealand’s history and best fishing spots. Its big, its chunky, and it’ll catch you a lot of big fish ... just don’t expect it to look pretty. This custom-built gameboat has been designed with meticulous care by one of Australia’s foremost craftsmen with decades of experience in the gamefishing business. What this plate aluminium pocket-rocket lacks in physical size it more than makes up for in design, craftsmanship and rough-water performance.